A big event has happened in the mobile marketing world this week: Apple has announced the expansion of its ad network to 46 new storefronts globally. Before the announcement, publishers could promote their apps in only 13 countries. 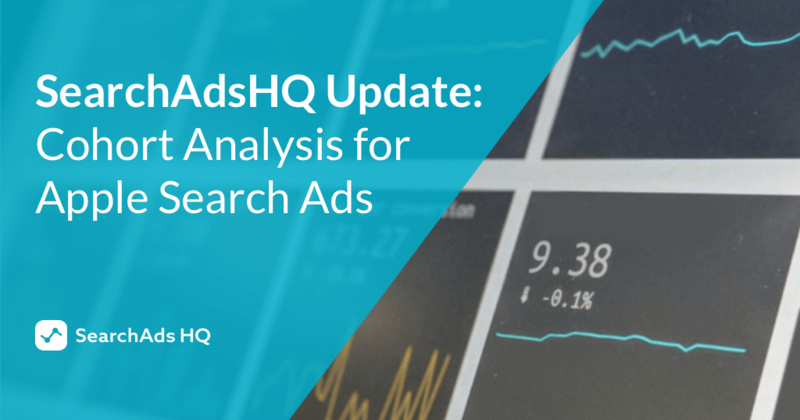 The release came out on 27 March, and this is the first time Apple Search Ads has been expanded since August 2018, when France, Germany, Italy, Japan, South Korea and Spain were added to the list of available storefronts. Asia Pacific: Australia, Cambodia, Hong Kong, Indonesia, Japan, Macau, Malaysia, New Zealand, Philippines, Singapore, South Korea, Taiwan, Thailand, Vietnam. Europe: Albania, Austria, Azerbaijan, Belgium, Croatia, the Czech Republic, Denmark, Finland, France, Germany, Greece, Hungary, Ireland, Italia, Kazakhstan, the Netherlands, Norway, Poland, Portugal, Romania, Spain, Sweden, Switzerland, Ukraine, the UK. Latin America and the Caribbean: Argentina, Chile, Colombia, Ecuador, Mexico, Peru. The United States, Canada, and Puerto Rico: Canada, the United States. Apple is exploring new advertising territories. Before the storefronts addition, publishers didn’t have any chance to target users in Africa, Middle East, and India as well as Latin America and the Caribbean. Even more European countries are covered now, and as for Asia Pacific, the expansion to new storefronts of the region is viewed by experts as a way to test Apple Search Ads before its introduction to China. Brazil and Russia are another two huge markets that are still unexplored. In addition to 46 extra countries, Apple has rolled out another big feature – multi-storefront campaigns. Before the update, advertisers had to set up an individual campaign for every location. Now, a single campaign can be created for multiple regions, which is a great time-saving solution for Apple Search Ads advertisers. The SearchAdsHQ team is proud to announce that we support the latest Apple Search Ads storefronts release from day one. 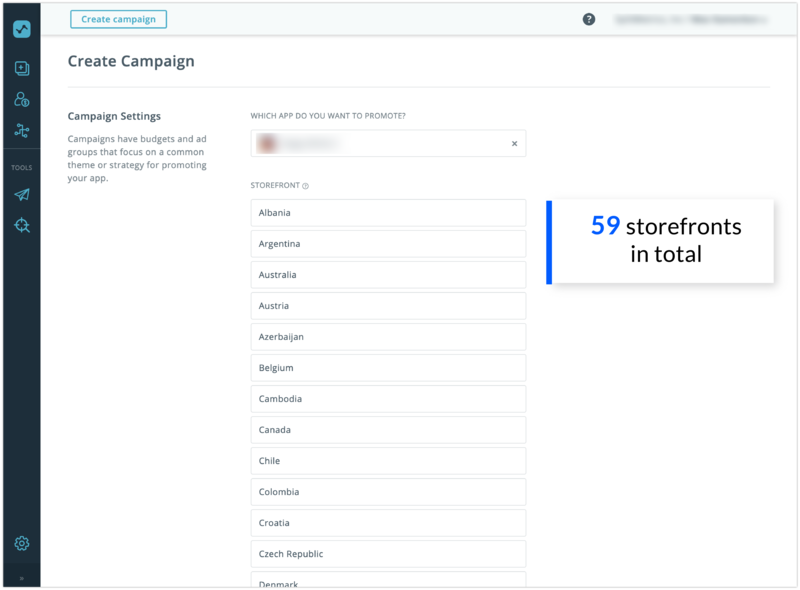 Our customers can find 46 new locations already implemented into our platform, so it’s possible to create campaigns for all the 59 countries available in the native Apple’s dashboard. In our dashboard there’s a possibility to duplicate the entire campaign structure as well as ad groups, and apply them to all the newly added storefronts. In comparison, in Apple Search Ads you can perform duplication for ad groups and keywords only. 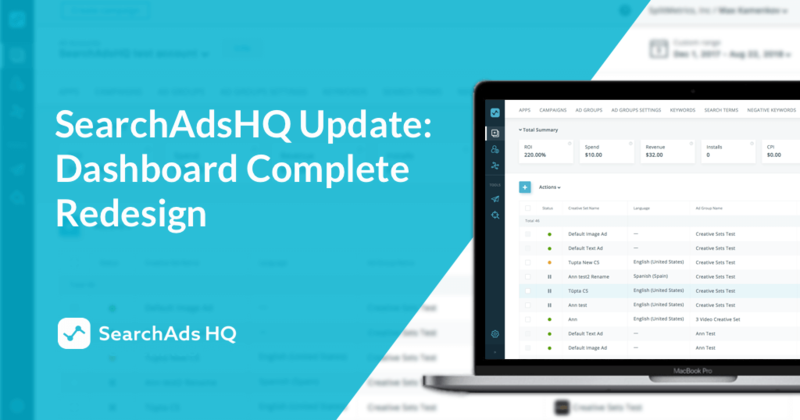 In SearchAdsHQ you can configure customizable rules for campaigns, ad groups or keywords to automate time-consuming actions that are usually performed manually. New storefronts are now available as a condition when you set up such rules. 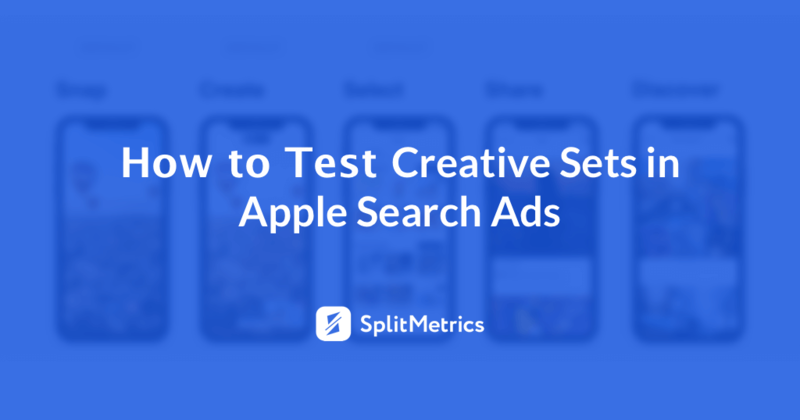 Moreover, filters for Apple SearchAds optimization that can be found inside our platform can gather data for each of the 59 storefronts supported by Apple. And last but not least, Keyword Planner, the built-in SearchAdsHQ tool, can now help research keywords and find search volume insights for all the recently added countries. What comes along with extra Apple Search Ads storefronts? 46 additional countries is a huge unexplored market share. Along with an opportunity to reach untapped audience that might be interested in your app, there’s a chance to do it at the best possible cost. Hurry up to enter the auction before it gets extremely competitive. SearchAdsHQ is a platform to manage, optimize and automate your Apple Search Ads campaigns. Request a free demo at SearchAdsHQ.com.